Chad Webber, Robin Kohn, Stephen Shea et al. 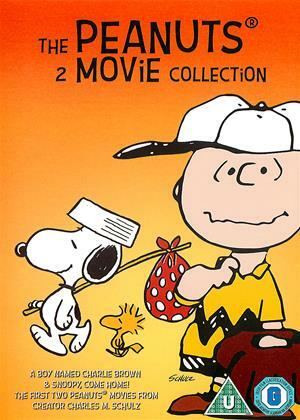 The first two 'Peanuts' Movies from Charles M. Schulz together for the first time! Join the whole "Peanuts" gang in their very first big-screen adventure. It's one enchanting scene after another in this very special movie that brings all our "Peanuts" characters to fun-loving life as Charlie Brown gears up for his first pitch of the baseball season and takes on the National Spelling Bee. Sit for a spell and learn that if at first you don't succeed, take a step back. Maybe a nap. Then grab the closest beagle...and dance. When everyone's favourite dog suddenly goes missing, the whole "Peanuts" gang bands together to find him in this full-length feature from legendary cartoonist Charles M. Schulz and the Academy Award winning musical team of Richard and Robert Sherman. Snoopy and Woodstock (in his big-screen debut) head for the highways in search of their true place in the world and discover that there really is no place like home.